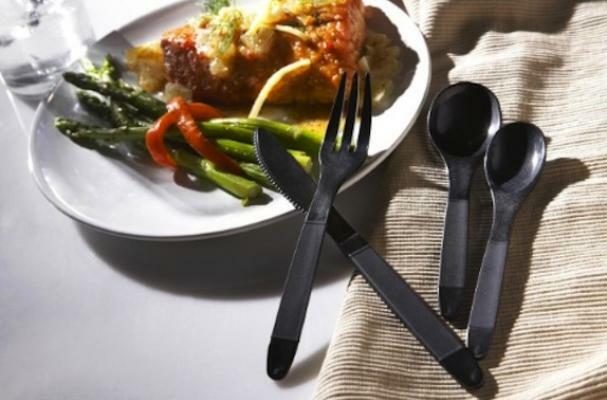 The TruFlavorWare line of reusable silverware is a cutlery concept that may revolutionize the degree to which chemotherapy patients enjoy their food. Traditional silverware leaves a bitter taste in these patients' mouths due to the chemotherapy they've endured; plastic cutlery eliminates that taste but isn't elegant or earth-friendly. TruFlavorWare's non-metallic composition offers the perfect balance between the two. "I knew how unpleasant it was trying to eat when all you can taste is metal or plastic, so I wanted to find a better solution," said TruFlavorWare inventor Don Ladanyi. His concept won the Cool Idea! Award by ProtoLabs, so we may see this reusable silverware sooner rather than later. TruFlavorWare non-metallic flatware "Simply makes Food taste Better!" It really works. Join the TruFlavorWare revolution. Viva La Rev!